Are you only a few hours or days in Singapore and want to get the most out of it? Or are you interested in learning about the people, history and culture in the most comfortable way? Singapore has many beautiful sights and there is much to do and see. 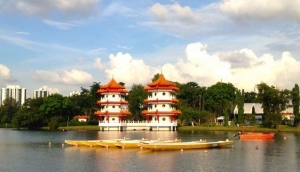 To make sure you don't miss out on anything, we have put together a variety of tours such as guided walking tours, hop-on-hop-off bus tours and Singapore River cruise tours. What better way to discover the best of Singapore?Also, Malaysia and Indonesia are nearby and easy to reach. There are daily coach services to Johor Bahru, Kuala Lumpur and other cities in Malysia. A ferry service gets you to Batam or Bintan, Indonesia, within one hour.